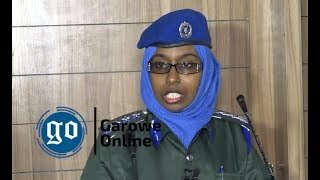 HARGEISA, Somalia, January 11, 2016 (Garowe Online)-Somaliland President Ahmed Mohamed Mohamud (Siilaanyo) has accused Mogadishu-based Federal Government of interference in annual presidential address to parliament and House of Elders on Monday, Garowe Online reports. 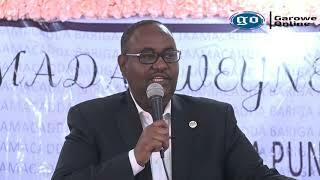 President Siilaanyo has addressed the two key chambers on Federal Government-Somaliland dialogue, currency crisis and strengthening of good governance, judiciary independence as well as road to viable justice in breakaway Somaliland. 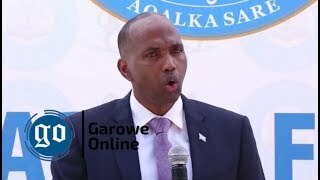 He said, Somalia Federal Government has meddled in his region’s affairs by orchestrating threats against Somaliland existence. 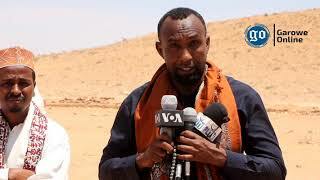 On bilateral talks with Mogadishu, Siilaanyo once again reiterated his government’s objection to unity endeavor, adding that they could never be part of federated Somalia. 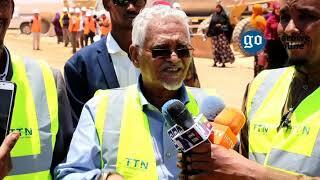 “We are ready to speed up dialogue between Somalia and Somaliland. We call for wider talks with cherry-picked countries present as observers. 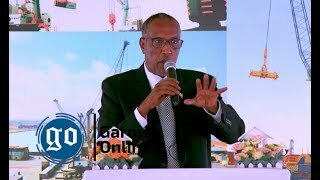 On the other hand, we welcome international community’s [ongoing] efforts of bringing about lasting peace in Somalia and putting a strong government in place by 2016,” said Somaliland leader. Speaking about diplomatic rift between Sunni power Saudi Arabia and Shiite Iran, President Siilaanyo strongly condemned what he described Tehran’s destabilizing tendencies in the Middle East and the Gulf of Aden. “We condemn the filthy move in which Saudi embassy in Tehran was ransacked. [Embassy attack] runs counter to diplomatic conventions and international norms, and Somaliland is against Iran’s destabilizing agendas in the Mideast and the Red Sea. We [also] stand by Arab League in their firm stance against [Iran],” he added. Moreover, Somaliland President noted that he achieved success in judicial matters and governance during his tenure in office. The separatist region is set to hold tough general elections in early 2017 after a long-running intra-party disputes. Somaliland, located in northwestern Somalia declared its independence from the rest of the country as a defacto sovereign state in 1991 but it has not been recognized internationally yet.